In the midst of today’s hectic lifestyle, let’s spare a thought for one of the biggest threats to our health and general well-being: Excess of processed high calories and sugar. It is said that “prevention is better than cure”. Does this mean we should stop consuming food and drinks which have sugar? Maybe not. What if someone told you that you can maintain the sweetness in your life without adding any calories? And this, from a natural source with the same sweet flavour that your taste buds love? And, yes, with no harmful side-effects? Sounds too good to be true, but nature has gifted us “stevia” — a plant which has sweetness in its leaves — a sweetness that surpasses that of sugar, sugarcane juice, honey or coconut sugar. Stevia does not increase blood glucose: Numerous studies have been conducted on the use of stevia and its effects on consumption. The stevia plant’s leaves contain naturally sweet molecules called steviol glycosides, which can be up to 400 times sweeter than sugar, but studies have shown that stevia has no effect on blood glucose levels. Thus, one can consume it without fear of affecting the blood sugar level. Stevia leaves have almost no calories: It’s a gift of nature that has been used in various parts of the world. The leaves have been used by Guarani Indians in Paraguay for several hundreds of years to sweeten their “matte” (tea). In the 1970s, the Japanese picked it up as a natural sweetening option. Today, it is the No. 1 sugar substitute in Japan and the fastest-growing sweetener in most markets in the developed world like France and the US. Global safety recognition: Stevia sweeteners are permitted for use in foods and beverages in countries around the globe. Over 200 global studies have illustrated stevia’s safety for the entire family. Studies have also shown that it is safe for pregnant women. 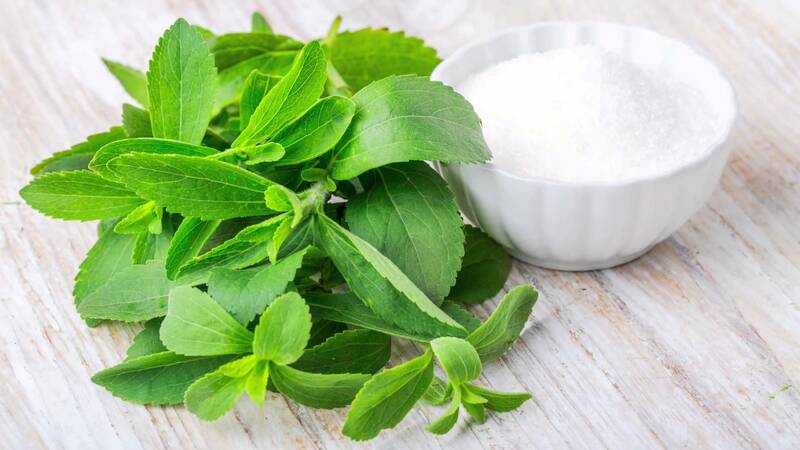 Stevia is safe for people with diabetes as it does not contain any calories or carbohydrates and therefore does not affect blood glucose or insulin levels. It has zero glycemic index. Stevia v/s artificial sweeteners: Realisation of the harm caused to health from consuming excess calories from sugar was the reason that ignited the search for substitutes, or artificial sweeteners. Saccharin, aspartame sucralose and the like became popular substitutes and then went out of favour owing to concerns from public about their origin and perceived lack of safety. What evidently seals the deal in stevia’s case as a sugar substitute is the fact that it is zero-calorie, zero-fat and 100 per cent natural. Imagine your rassogulla or gulab jamun without an overload of sugar, serving your child tomato ketchup without thinking of the extra sugar and calories, enjoying a serving of ice cream, cool carbonated drink without any sugar at all. The latest varieties of star leaf stevia can make the greatest taste possible without any harm or guilt.